They own, either partially or wholly, more than 80 companies and businesses in the country and abroad: 450 miles of diamond concessions along the Angolan border, companies that have made millions working on some of the largest mining projects in the world, and businesses that have received payments from the World Bank, the Congolese government, and the United Nations. A conservative reading of public documents suggests that their companies have had hundreds of millions of dollars in revenues since 2003, and that they own assets that are easily worth many tens of millions of dollars. Congo’s Ministry of Mines has granted a company controlled by the president’s sister, Jaynet Kabila, more mining permits than allowed under the country’s mining code. Companies belonging to Zoé Kabila have made millions of dollars from mining joint ventures and subcontracts, including at Sicomines, part of Congo’s $6.2 billion minerals-for-infrastructure deal with China. Some of the family’s business assets are protected or overseen by members of the Republican Guard, which is likely outside the legal mandate of the force. Family companies have benefitted from large state contracts, including for the issuing of drivers licenses. At least one family company was part of a controversial 2011 copper mining deal that led the International Monetary Fund to cancel its half-billion dollar loan program with Congo. These businesses have benefitted from DRC government, World Bank, the U.S. Private Investment Corporation, and UN contracts. All public officials should declare their assets as required by the 2002 code of conduct for public officials. pass a law requiring charitable foundations and non-profit organizations to publish statements of their finances, including their sources of funding. The constitutional court should clarify the regulations in the constitution and legal code regarding conflicts of interest for public officials, including the president. President Joseph Kabila, Zoé Kabila, and Jaynet Kabila should place their private business interests in an independently managed trust to avoid possible conflicts of interest. All mining, oil, and timber contracts, memoranda of understanding, amended contracts, and other relevant documents related to extractive industries should be published as required by government decree. The government should digitize all landholding and incorporation records and make them readily available to the public. The ministry of mines should ensure that the 2002 mining code is applied to all companies and individuals equally, especially in terms of the number and size of permit holdings allowed and the right to declare force majeure, which exempts permit holders from their obligations only under extraordinary circumstances. The ministry of mines should make public all granted applications for force majeure, along with the justification for granting the designation. Members of the Republican Guard should be withdrawn from sites that are linked to the businesses of the presidential family, especially mining sites, unless there is an overriding national security interest. 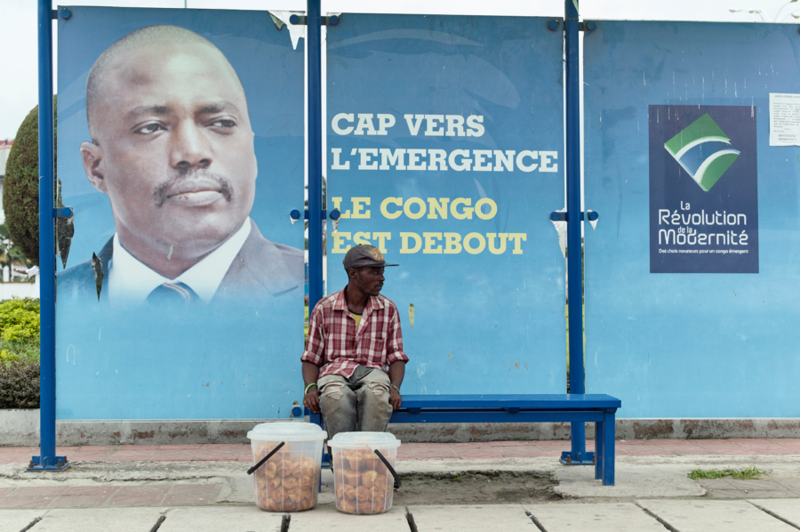 Foreign investors in the Congo dealing with Politically Exposed Persons should be required to reveal the financial terms of their deals with PEPs to their shareholders. You can find the whole report and examine the underlying documents here.